Of all my volunteering experience and contributions to various charitable organizations, I have never felt like I was making a difference more than when I spent six weeks with the incredible staff of 13thirty Cancer Connect. Upon starting my internship, the atmosphere of love and support was overwhelming — and I knew that I would truly enjoy my time at this organization. Simply walking through the Center and seeing the pictures of the teens and young adults who call 13thirty “home” was quite powerful. 13thirty has had such a profound effect on their lives; one family even brought a pair of boxing gloves signed by Mohammed Ali, which were anonymously gifted to their son (Louis D’Amanda III) shortly before he died, and gave them to 13thirty as a reminder of the strength, perseverance, and fighting spirit that embodies AYA cancer survivors. I was able to help in a variety of ways as an intern — from helping with Journeys preparation, to joining the Cancer Outreach of Rochester, to coming up with creative names for the quilts donated to the Center from a generous local quilter for 13thirty’s annual holiday sale. As a member of the medical profession, evidence is very important to me whenever deciding on a recommendation. One of the tasks that I was assigned was to analyze this evidence and organize the information. 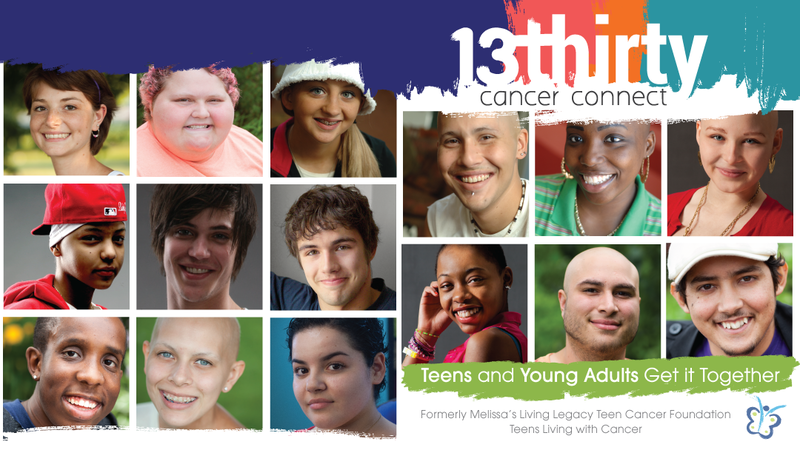 13thirty, along with all of the great things they do for teens and young adults impacted by cancer, also helps parents through the difficulties of having a child with cancer. One of the programs focuses on the mental and physical health of the parents and their progress is monitored weekly. Every parent enrolled in the program had, without exception, improved both physically and mentally from the beginning to the end of the eight weeks. This was very important to me because it is obvious without seeing anything on paper that the organization does so much to help everyone involved — but to have physical proof was the icing on the cake. I could tell countless stories about how much I enjoyed my time with 13thirty Cancer Connect, but actions speak louder than words. I will make my appreciation known by continuing to be involved with the organization as a volunteer, and once I get out of school, a donor. The staff is incredible and are continuously working hard to support AYAs and their families. I encourage anyone who is interested in helping those impacted by cancer to offer your services, your time, and your support to 13thirty Cancer Connect. ROC the Day 2017 is November 28th! It’s a 24-hour window of giving in our community, and here at 13thirty, we want to continue to make a positive impact on our teens, young adults, and families. We appreciate all the support from our generous donors — without YOU, none of this would be possible! Please click the link and choose 13thirty Cancer Connect for your ROC the Day contribution! Thank you! Journeys 2018 – RSVP Now! 2017 was a fantastic year at 13thirty Cancer Connect! Help make a difference! Go Bald for Bucks by shaving your head or donating a minimum of 8" of long hair. Learn more here.